A TEXAS RANCHER FINDS TROUBLE ON HIS DOORSTEP IN THE FORM OF A KILLER'S BEAUTIFUL NEXT TARGET… It's clear to Texas rancher Brian Sloane that Lindsey Cook will be a serial killer's next victim. For twenty years someone has been systematically killing off her family in "accidents," and recently her car was deliberately run off the road. 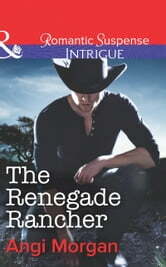 The handsome cowboy is willing to be the protector the gorgeous blonde wants–but unwilling to act on their instant attraction. Before long, the search for Lindsey's stalker leads Brian into more trouble…and right into Lindsey's arms. After one smoldering kiss, he knows there'll be no turning back. Though never one for relationships, he'll risk his life for her…and the surprising secret her family has been dying for.